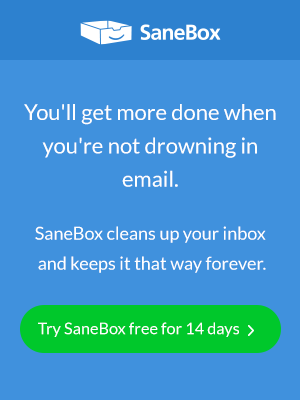 Your SaneBox account just got a design makeover. Come check it out! First of all, a big Thank You to all our SaneBox customers for your wonderful recommendations and ongoing feedback. 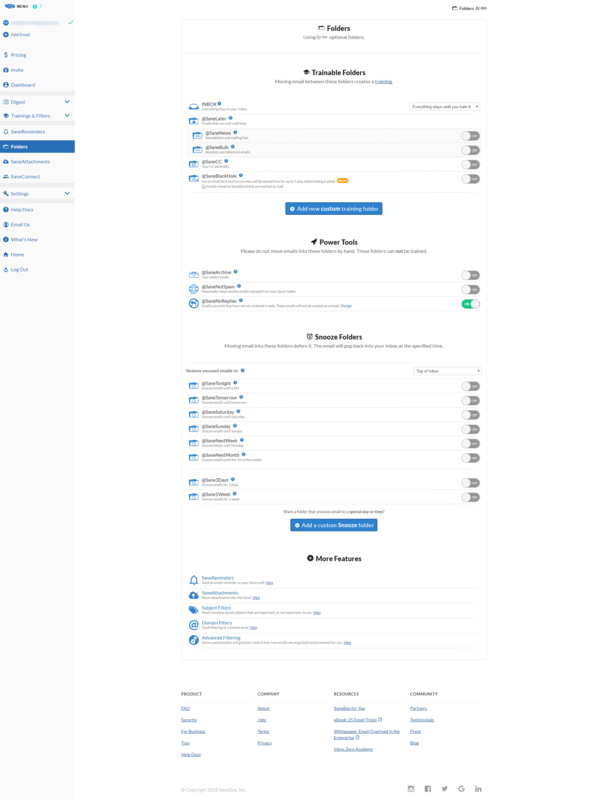 We’re excited to share our new sleek layout which you helped design! With the new Dashboard panel, you’ll be able to view & navigate all your SaneBox settings with just one click! Feel that sense of control and accomplishment as you admire all contacts you’ve trained, reminders you’ve sent, and all those attachments that are now neatly tucked away into your cloud storage. View your SaneBox login history and IP access points. You’ll also be able to see all third party services that SaneBox interacts with on your behalf. Want to help shape the future look of SaneBox? You can contribute your feedback here.